This is the second part of the Scent of Light installation, as a symbolic safe harbor for the ship. It is located in a thicket about 50 yards directly off the bow site of the ship. A path was cut through the tall grass that ran alongside the ship to the Grotto. inside, 5 tons of large stones formed a circle around a recessed circle of black slag sand. 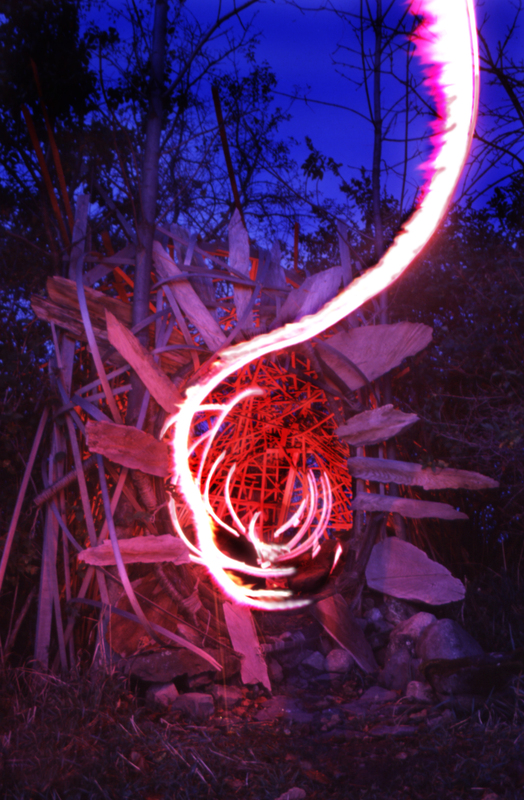 The exposure was at twilight- a 35mm one minute exposure using a car flare. My moving body blocked out segments of the flair's trail.